Chase suspect arrested amid a cheering crowd. Bob Redell reports. A car chase in the East Bay late Sunday ended with a driver being taken into custody to the sound of a cheering crowd. After a roughly 90-minute police pursuit throughout the East Bay, the driver was apprehended near 24th and Adeline Streets in Oakland, according to officials. As he was being handcuffed and escorted toward a patrol car, a roaring crowd could be heard clapping and shouting. 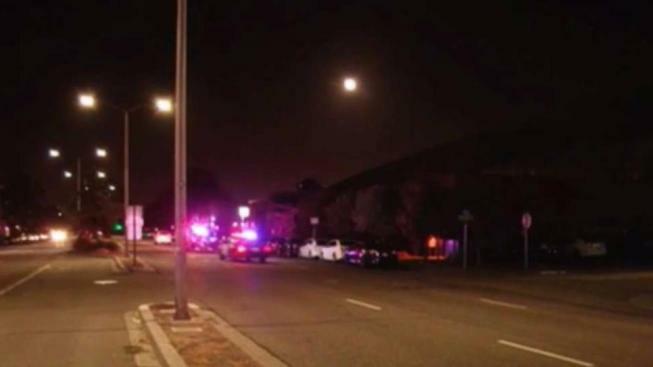 The dangerous ordeal began around 10 p.m. when officers started investigating a suspicious vehicle along the 2300 block of Chestnut Street in Oakland, according to officials. The driver, who was seen with a handgun, fled from officers, and the chase began. The pursuit reached speeds of up to 100 mph as the driver evaded Oakland police and the California Highway Patrol, according to officials. The driver did graze a parked car during the chase, but no other damage was reported, officials said. The gun has yet to be recovered.